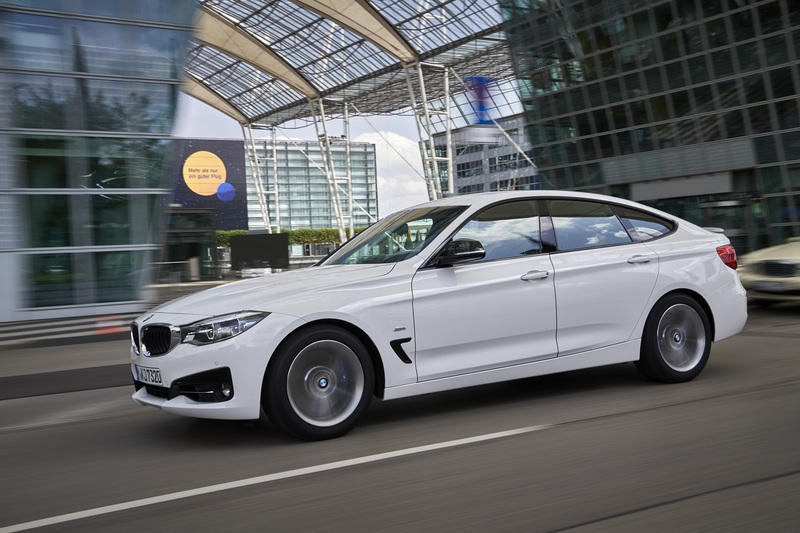 BMW has launched its BMW 3 Series Gran Turismo Sport sedan in India. It is a new version of the 3 Series Gran Turismo with added elements and features to make it sportier. The new variant will be available with only a diesel engine as of now. The car will be produced locally at BMW Group plant at Chennai and will be available immediately at all the BMW dealerships. Newly designed LED headlights coupled with LED rear lights. Auto opening & closing tailgate. Frameless windows on all the doors. Kidney grille with slats in high-gloss black. Interior trim in Fine-wood trim Ash Grain and highlight trim finisher in Pearl Chrome. Red stitching on steering wheel and gearshift paddles. Upholstery options like Sensatec Black/Red highlight, Black and Sensatec Veneto Beige, Veneto Beige. 40:20:40 split/folding rear seat bench with folding head restraints and tilt-adjustable backrests. 205-Watt, 9 speakers Hi-Fi loudspeaker system. Infotainment system with 22.3 cms colour display, DVD drive, integrated 20GB hard drive. BMW Navigation System Professional with 3D maps (integrated Global Positioning System-GPS). Connectivity through Bluetooth and USB. Rear View Camera along with PDC Rear and Front. Dynamic Stability Control including Dynamic Traction Control. Run-flat tyres with reinforced sidewalls. The diesel engine on 3 Series Gran Turismo Sport is a two litre four cylinder mill producing 190 HP and torque of 400 Nm at 1,750 – 2,500 rpm. The car will be equipped with an eight-speed Steptronic automatic transmission with paddle shifters. Launch control is also available as standard. The engine, transmission combo helps the car to accelerate from 0-100 km/hr in just 7.7 seconds. Metallic Imperial Blue Brilliant Effect.